It is so crazy that the holidays are right around the corner! I don’t know about you, but there are a few things that I do to set myself up for less stress during the holidays each year. There are so many things to do during the holidays from all the places we have to be, to all the gifts we have to buy, to all the special foods we have to make and more. Having a holiday planning checklist is key. The best news is that I’ve got a free printable holiday planning guide for you. It helps you remember the things that are so easily forgotten…until it’s too late. Have it sent right to your inbox by entering your email below! My calendar fills up with parties, concerts, and all kinds of gatherings. 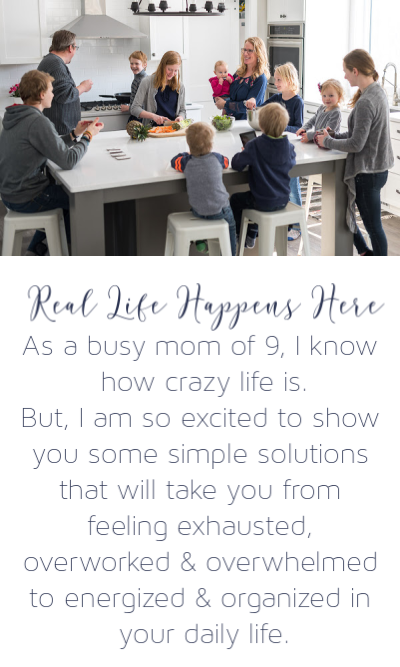 Of course all of these things happen in the midst of everything else like sports practices, music lessons, dr. appointments, and just the everyday bustle of life. There are a few main areas that I address to get things in tip top shape before the holidays hit. Maybe you’ll find it helpful, too. When you make the time now to get these things in order, you can have better holidays. In fact, you might even be able to have some fun and enjoy yourself this year! Schedule as much as you can now in order to get your calendar as accurate as it can be for other holiday things to slide in. Generally, I plan and fill in my calendar on a monthly basis, but by the end of October I make sure that I’ve got my calendar all filled in for the rest of the year. Try it, you will love it! Generally I meal plan every week, but for the months of November and December I meal plan for the entire month just to free up that planning time on the weekend. I also shop in bulk more so that I’m shopping less. I also want to be certain that I am not making trips to the store for little things here and there, so I play close attention to my pantry inventory during this time. If you are new to meal planning, I make is super easy in Meal Planning 101, check it out HERE. I vigilantly stock my freezer at certain times of the year. Heading into the holiday rush is one of them. This year I am so thankful for my MyFreezEasy membership. This is helping me stock my freezer more efficiently since it’s got the recipes, shopping lists, and detailed preparation instructions all built in. You deserve to let MyFreezEasy save you time and stress this holiday season as well. Check it out HERE. Attack clutter like a crazy woman during this time. I do this because I am switching clothes out from one season to another, I also because I need to make room for all the new stuff coming in with the gift giving season. This is the time to go through toys especially since more will be coming in. I shared the particular system that I use to stay on top of the toy clutter HERE. I’ve also written a 23 page guide for tackling all kinds of clutter in your home. This is exactly what you need to get control of that clutter once and for all. Check out The Busy Woman’s Guide to Tackling Clutter HERE. I like to take this time to make sure that my cleaning projects are all completed at this time. Generally there will be no time for these things during the holidays. I tend to take on projects like cleaning my blinds in the spring and in the fall. So, these are the things I’m finishing up now. Make sure you’ve done a really good cleaning in all areas of your home now so you can loosen the reigns during the holidays in order to make time for all that holiday stuff. I generally have a pretty good idea on where I’m at with my goals, but I want to make sure that I finish strong with my goals. I prefer to kind of just let the December craziness take over that month. For this reason, I want to make sure that my annual goals are finished up by the end of November in most cases. Are you close to meeting your goals this year? Now is the time to find out and get back on track. Similar to my goals, I need to make sure that our routines are working well. Again, the goal is to make sure that things are running like a well oiled machine during the holidays. Things like my morning and evening routine, my kids’ school routines, and various systems are all just given a once-over before heading into the holidays. What are your routines like? Are they working or do you need to make some adjustments? Maybe something like Make Over Your Mornings or Make Over Your Evenings will be helpful for you before the holidays hit. 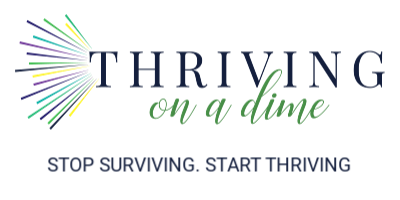 We did these courses together as a community last year in October, and it saved my sanity during November and December. Really. Now is the time to catch your breath before you’re stuck staring the holidays in the face while wondering how to make it all work. Take a break and focus on a few of the things you enjoy doing. Focus on doing something that relaxes you and fills your tank. Don’t get caught in the hustle and bustle of the holiday season wishing you had done more to take control. Use this guide to get a head start on having less stress and more joy this holiday season. 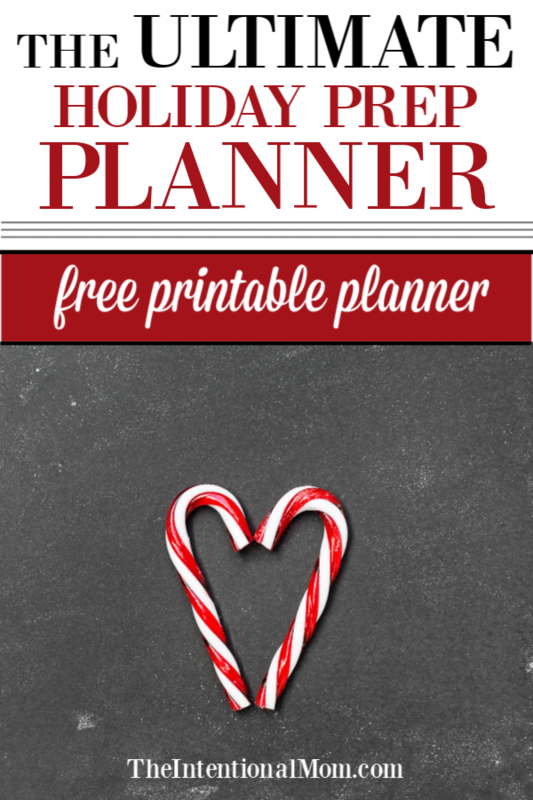 And, be sure to grab your free holiday planner BELOW!